If you’re having a hard time narrowing down your dream client, and you have no idea what to say or what kinds of content to come up with to attract them, this vlog is for you! I can’t wait to dive into it with you. Understand that your idea clients are people too, so they’re very emotions-based. Just like you! 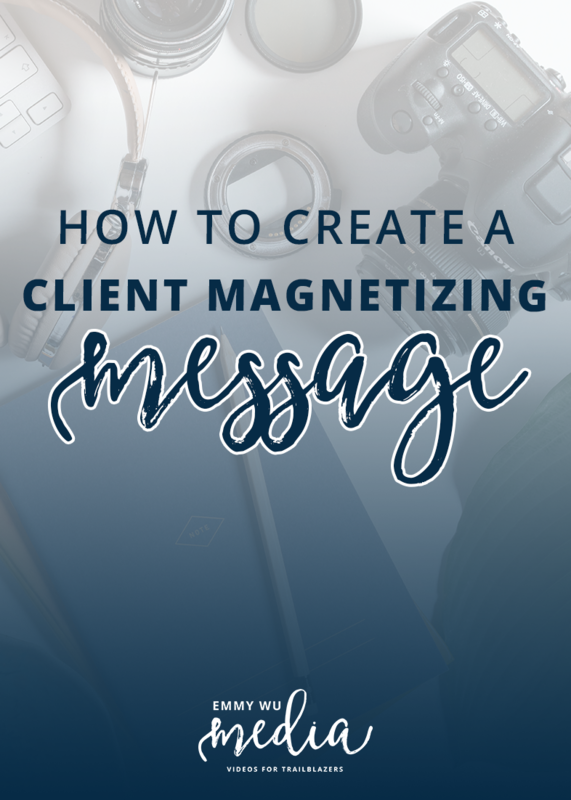 Your responsibility is to come up with a compelling message that will magnetize them. Touch on their fears, their worries; use their emotions. Not in a sleazy way – in a “this is how I’ve felt before in my life, too” way. Remember that you have to be CONSISTENT. There’s a ton of market saturation going on right now and so many voices means you have to stick to your message for 2-3 months before you see people start recognizing you. I know that seems like a long time, but it’s rather short, if you think about how long it would take for a physical business to start being the “go-to” in a particular niche or industry. What type of people are your ideal clients? Think of their lifestyle and interests, and try to be as specific as possible! Shared experiences from your work? Personality traits like introverted or extroverted? Organized and love to create order from chaos? What problem do you solve for them? Are you a life coach who helps them to get clear on their next steps so they can stop doubting themselves? Maybe a fitness mentor? Do you help them create an effective and sustainable workout routine they’ll love? Perhaps a video strategist? Maybe you create branded videos to help people increase their visibility, and sell more to their customers? Now, how do you do it? Give them a clear roadmap that they can follow? With meditations and tools to help them access their inner wisdom? Using a proprietary process or recipe? I help _______ achieve _______ by _______. If you have any questions about attracting clients, leave a comment below! Want to continue the conversation? I’d love for you to join me on Instagram. You’ll see posts about video, travel, and growing a creative business, while always honouring your heart and soul in the process.